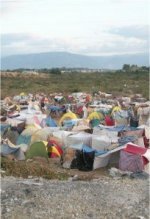 • Provide housing for 12 young married couples who are living in the Tent Cities following the Haiti earthquake in 2010. 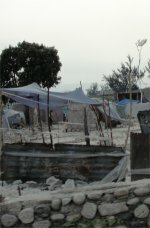 Three years after the earthquake there are still millions of Haitians living in these conditions. • Strengthening the future of sustainable family farming in the Les Cayes area by bringing together farmers, families and entrepreneur to encourage a closer understanding of food production for the children in our care. 1. 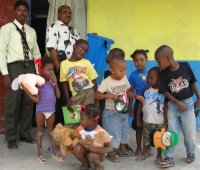 To meet Spiritual and physical needs of the orphaned children in Haiti by providing basic housing within a loving family environment. 2. To fight and eradicate poverty from the marginalized and disadvantaged children through establishment of micro and macro income generating activities especially agricultural enterprise, each child care home will be on ½ acre of land enabling the establishment of Kitchen Gardens and Animal Husbandry to encourage self sufficiency. 3. To guard, protect and advocate for the fundamental rights of children. 4. To train and equip personnel that will handle children’s programmes across Haiti. 5. To coordinate children focused, character building, activities within the Centers. 6. To strengthen and improve the quality of life, of children and their families and attain economic self reliance through sustainability initiatives and vocational training. 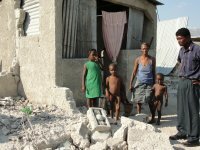 •To purchasing lands in various areas in Haiti, starting with a pilot project in Les Cayes. Over the years UCT has been working in all these areas within Haiti and have identified key persons that will be able to manage and run these PowerPlay Child Care Centers. Personnel have already been trained in a variety of children’s ministry programmes in preparation for this project including Kids Evangelism Explosion and Kids In Ministry International and other character building, life skills programmes. •Constructing of 12 homes to house the house parents and a minimum of 6 children maximum of 12 in each home. Eventually UCT would like to include other facilities including schools if not available, youth center and vocational training school within the Child Care Center. •Developing recreational play areas for children's education and training, and for leisure activities including a football field to encourage children's ministries such as KidsGames and educational programs such as Kicking AIDS Out utilizing sports to teach the children about HIV/AIDS. •Developing enterprising projects such as farming and animal husbandry to provide sustainability for the residents. • Establish individual Kitchen gardens and chicken farm on the land behind the child care homes as well as a communal fish farm, Aquaponics and Agro Forestry. •Establishment of two Bio Gas plant utilizing chicken manure to create our own gas for communal cooking. 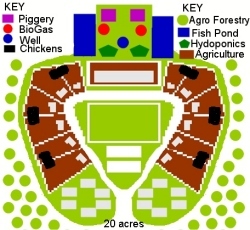 •Developing Permaculture Gardens designing human settlements and agricultural systems that are modeled on the relationships found in natural ecologies. These will be located on the ½ acre plots of land that houses the child care homes. •Producing income generating crops on the agricultural land to enable the projects to administrative fees and stipends to the house parents. Including animal fodder such as Mulburry bushes. These 12 homes will be positioned in a cluster development on a maximum of 10 acres of land. Cluster development is the grouping of the residential structures on a portion of the available land, reserving a significant amount of the site as protected open space. The usable open space can meet a number of community goals such as sports playing fields, agricultural projects and animal husbandry to encourage sustainability. These basis 896 sq ft, four bedroom, two bathroom property will be a earthquake and hurricane resistant home at affordable prices resulting in a stronger, safer, more durable & energy efficient home structure that is also environmentally friendly & responsible in much less time than other construction systems. The structural insulated panels have a polystyrene core and use the stronger outer sheeting of cement sheet (like Hardibacker) not OSB (oriented strand board). You do not need to fix sheet rock or waterproofing to the panels as they arrive from the factory ready for painting or tiling etc. saving you money and time. The panels are made of renewable materials that are 100% recyclable. The UN has approved this material for green building projects. The added insulation of the polystyrene creates a far more efficient home than conventional timber or concrete building methods. The polystyrene insulation of the panels provide great sound proofing & thermal resistance qualities. SIPs have been found to be the safest building system for earthquake zones. Because a SIP house is glued and screwed, it will hold up well against the strongest of earthquakes. The product can also withstand 200 mile per hour winds for hurricane prone areas. Because this modern building product is fire resistant is can be used to make a fire break between rooms. Your children will be sleeping in the safest building system money can buy when you build a SIP house. Floor and roof panels are 6” thick. Wall panels are 4" thick. All panels have both facings of 3/8 in. thick hardboard fiber cement sheet panel. Panels come in lengths of 8' or 10' or 12'. SIPs are easy to cut with standard hand tools, which eliminates complications on the job site, or the panels can be cut for you at the factory. The panels are prepared for easy assembly by placing identifying marks before shipping them to you for assembly. This is good news for all building professionals and home buyers who want a stronger, safer home with the energy savings and comfort that SIP built homes provide. The panel factory makes each structural insulated panel as a sandwich. This simple sandwich panel forms an amazingly strong insulated panel for building. You can then use any kind of finishing, stucco, tile or rock. Rainwater harvesting is the accumulating and storing, of rainwater for reuse. It has been used to provide water for livestock, water for crop irrigation, as well as household usage eg bathing and flushing toilets. Rainwater collected from the roofs of houses can make an important contribution to the availability of drinking water, but may require treatment or filtration before consumption. Rainwater harvesting systems can be simple to construct from inexpensive local materials, and are potentially successful in most habitable locations. Each house within the PPCCC will be served with two large outdoor water tanks and a solar pump to service an indoor tank for household use and to be used in conjunction with the Sawyer PointOne Water Filter. 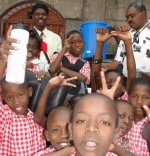 The Sawyer Point One Filter is the fastest, easiest and most cost efficient way to get drinking water. • Up to 500 gallons of potable water a day, cleaner than US bottled water anywhere in the world! 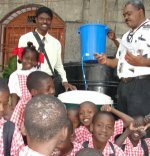 UCT has distributed hundreds of these excellent filters in Haiti following the earthquake and subsequent cholera outbreak earlier this year. The design of the PlayPump water system makes it highly effective, easy to operate and very economical, keeping costs and maintenance to an absolute minimum. A solar pump is supplied in case of insufficient children ‘playing’ to pull up the water required for a community. Capable of producing up to 1,400 liters of water per hour at 16 rpm from a depth of 40 meters, it is effective up to a depth of 100 meters. It is estimated that it will cost US $10,000 to dig the well and install the PlayPump. UCT will be researching the possibility of solar lighting for these homes identifying companies that are already bringing relief to Haiti such as Sol Inc.Sol believes ‘Energy is a Human Right’ and we assign a great priority to the importance of sustainable energy. 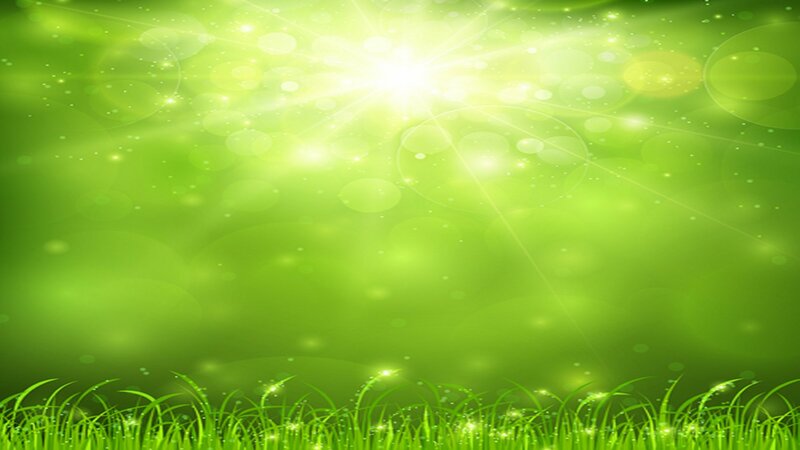 Sol, Inc. was founded in 1990 and is the largest and most established firm dedicated to the design and manufacturing of commercial-grade solar lighting solutions. Based in Palm City Florida, Sol has over 38,000 reliable solar lighting systems installed worldwide. Sol’s solar lights systems provide trouble-free lighting with unsurpassed levels of illumination and reliability for numerous applications. We will be supplying each of our PowerPlay Child Care Homes with a solar system because the electrical supply in Haiti was difficult before the earthquake and has remained non-existent in many regions since then. Pour-flush pit latrines overcome the problems of flies, mosquitoes and odour by having a pan with a water seal (a U-shaped conduit partly filled with water) in the defecation hole. Excreta deposited in the latrine pan is flushed by pouring 1 litre of water into it. Water remains in the U-shaped conduit blocking air flow and odour. The mixture is directed into a pit and organic wastes are biodegraded. Sludge has to be regularly emptied from the pit. The use of two adjoining pits alternately enables the sludge in a full pit to undergo further decomposition while the other pit is being used, and enables manual sludge emptying after further sludge decomposition. Domestic biogas plants convert livestock manure into biogas and slurry or fermented manure. 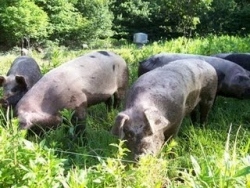 This technology is feasible for small holders with livestock producing 50 kg manure per day, an equivalent of about 6 pigs or 3 cows. This manure has to be collectable to mix it with water and feed it into the plant. Pour-flush pit latrines can be connected. Another precondition is the temperature that affects the fermentation process. With an optimum at 36 C° which is ideal for Africa. Depending on size and location, a typical brick made fixed dome biogas plant can be installed at the yard of a rural household with the investment of US $2,000. A high quality biogas plant needs minimum maintenance costs and can produce gas for at least 15–20 years without major problems and re-investments. For the user, biogas provides clean cooking energy, reduces air pollution from charcoal fires and reduces the time needed to collect fire wood a job done especially by women and children. The slurry is a clean organic fertilizer that potentially increases agricultural productivity and will be used in the kitchen gardens within each PowerPlay Child Care Home. Poultry farm: - Despite enormous potential, domestic production still can not cover the needs of dairy products, eggs and poultry and meat cuts in Haiti. 30 million eggs are consumed in Haiti each year and out of that only 1 million are produced in Haiti. Fish farming - Fish provide valuable protein and fish stocks commercial inland fish farming not only provides additional fish but also much needed incomes. Beekeeping - We want to set up a beekeeping project within the Center. This project will provide honey, and give a sustainable income.